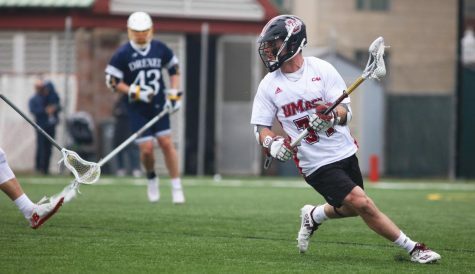 After sitting out last year due to an injury he suffered in the preseason, redshirt sophomore Dan Muller is back on the field and making an impact for the Massachusetts men’s lacrosse team. 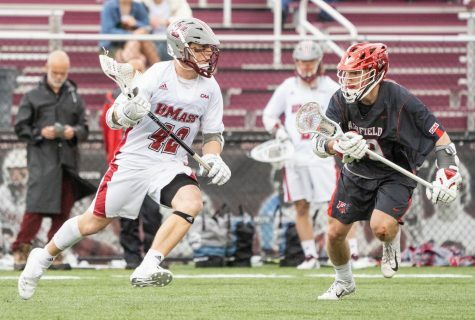 Although he hasn’t started in any of the Minutemen’s three games, the Massapequa, New York native has tallied three goals and two assists so far, placing him tied for third on the team in points with five. In this past Saturday’s 14-13 defeat to No. 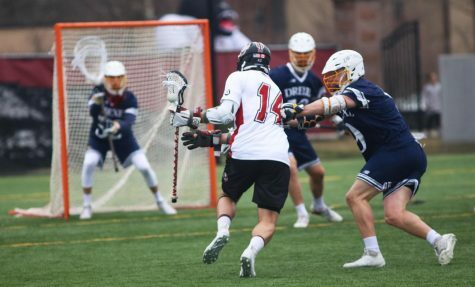 12 Harvard, Muller recorded two goals and an assist, matching his career-high for goals in a single game. It was something he hasn’t done since his freshman season in 2013 when he added a pair of scores in a 16-9 win over Army. Through three games this season, Muller is already two points shy of tying his career best. In 2013, the midfielder finished with six goals and one assist. 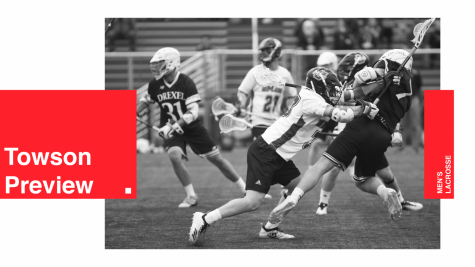 As one of 10 goal scorers in the game against the Crimson, Muller, among others, will be counted on to provide an offensive boost for the Minutemen (0-3) as they search for their first win of the season. Despite not being able to take the field last year, Muller found success in the classroom. He was awarded the Colonial Athletic Association Academic Achievement Award in 2014, which is given to student-athletes who excel both on and off the field. 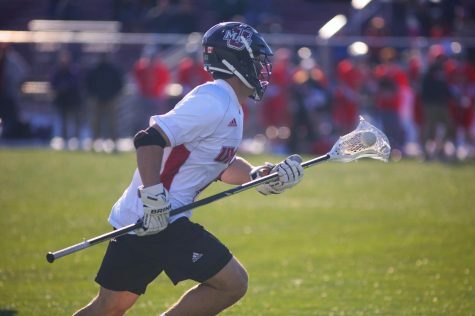 Currently a double major in business finance and sport management with a minor in economics, Muller has found the time to balance lacrosse with his schoolwork. 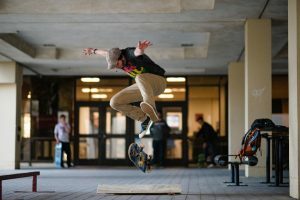 He is a member of Chi Alpha Sigma, an organization that recognizes student-athletes who have received a varsity letter and maintain a GPA of 3.4 or higher throughout their junior year. 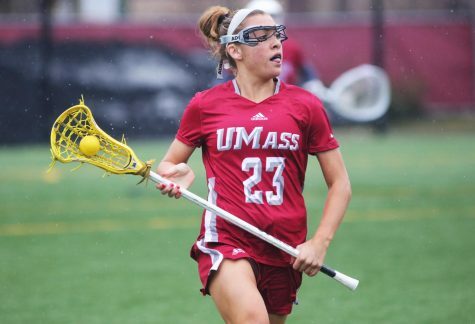 Muller and UMass will next have a chance to earn their elusive first win Saturday afternoon against Brown University at McGuirk Stadium. 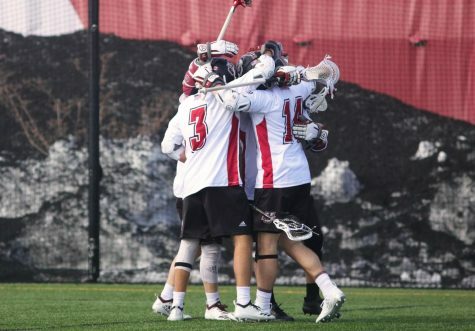 UMass Athletics announced in a press release Monday that the Minutemen will play their next three home games at McGuirk Stadium due to damage to Garber Field which occurred during the recent snowfall. 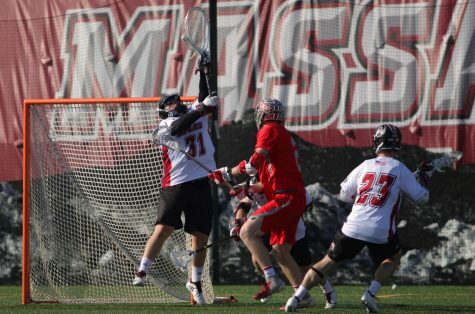 “Due to continued winter weather in New England and previous damage sustained to the playing surface at Garber Field, the University of Massachusetts men’s lacrosse program announced the move of its next three home games to Warren P. McGuirk Alumni Stadium,” the release said. 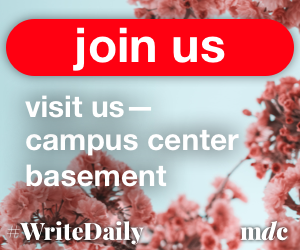 Not including this weekend, the other contests set to take place at McGuirk will be on March 10 versus Quinnipiac University and March 14 against Penn State. The release also said that it has not been determined where the final three home games will be played. 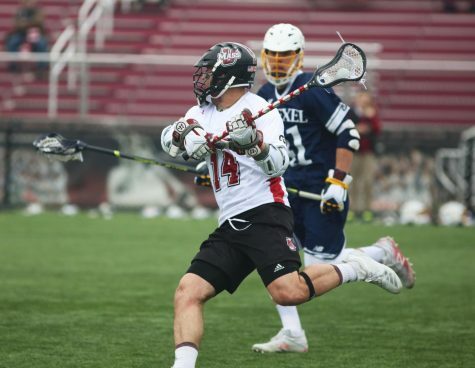 These will be held on April 4 against Fairfield, April 18 versus Drexel and April 24 when UMass takes on Delaware in its season finale. The Minutemen played their first game of the season at McGuirk Stadium back on Feb. 7, falling to No. 20 Army 12-7.